Wine is always local to a place: the vineyard, area, culture, viticulturist, winemaker. Sometimes there are breakaways, people who challenge the norms and take their own path. 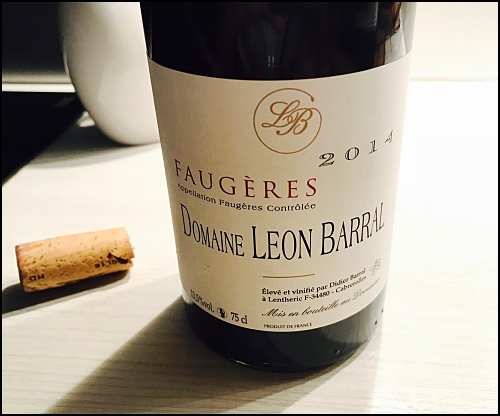 One such person is Didier Barral, the current proprietor of Domaine Leon Barral in Faugères. First, where is Faugères? You were thinking that right?!? 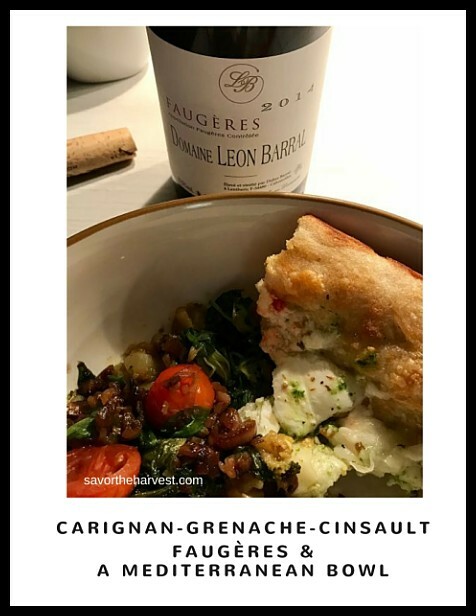 Forty minutes from the Mediterranean between Carcassonne and Montpelier, Faugères is in southern France in the Languedoc-Roussillon wine region. The area is beautiful with a multitude of activities besides wine tasting. Try city and ruin exploration, hiking, and cycling, in addition to relaxing …yes, relaxing is an activity! Didier Barral is the 13th generation to grow grapes in Faugères. His roots are deep- generations before him cultivated grapes but he wanted to make wine rather than simply growing vines. As a result, he founded Domaine Leon Barral (named after his grandfather) in 1993 and began making estate wine. He’s known as a revolutionary deciding on biodynamic practices for cultivating vines. Back in Bordeaux just a week, I wondered into Le Flacon St. Michele, a nearby Cave du Vin where I know the bar manager. He poured me a few sample tastes to welcome me back, I sipped, and we discussed his wine wall. I decided on something from the south of France where a large percentage of wineries produce organic or biodynamic wines. My purchase was a good choice! Tasting notes follow. Sight: Clear, medium intensity, ruby garnet in color. Aromas: Clean condition, medium intensity, black berry, mulberry, wood smoke, a hint of leather and spice. 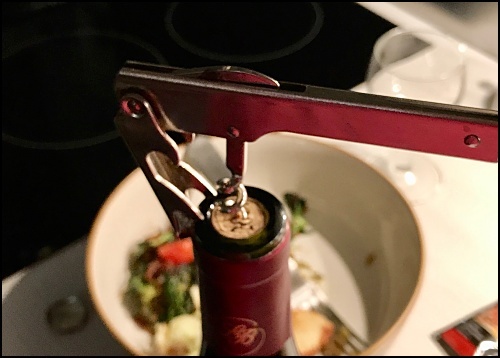 Palate: Dry; medium in each of the three areas: fresh acidity, integrated tannins, and body; flavor characteristics of cherry and cranberry, slight forest spice, wet earth, leather; medium length on the finish. This is a fresh, lively wine with certain juiciness up front. A touch of earthiness on the palate doesn’t detract from the brightness. The first few sips had tension and energy that mellowed after five minutes. It paired fantastically with what I call my lazy Sunday Mediterranean Bowl- Focaccia with cherry tomatoes, Mozzarella di Bufala and pesto along side a sauté of garlicky greens and shallots. Reading about Didier Barral, I found some people are proponents of his methods while others are not. Interesting to note Languedoc-Roussillon produces about 30% France’s organic wine! In the end, Barral’s wine is definitely about place and man. In conclusion, I look forward to tasting his other two red blends, Jadis and Valinière! For those living in the states, you can find this wine here and there including Kermit Lynch in Berkeley, California. This part of France is a wine-lover’s delight – especially the number of organic and biodynamic producers. Thanks for introducing me to this one, perhaps I can track down a bottle or two. And I love the idea of your lazy Sunday meal – sounds delicious without requiring too much effort! I was happy for the introduction to this Domaine, and glad to have a “little effort” meal! Would love to know if you track down and taste Barral wines! This one is more old world in style, although saying that is becoming old as things are changing. Don’t think you can go wrong with a mixed southern Mediterranean sauté of vegetables and Focaccia! I am definitely going to be on the look-out for his wines! I continue to hear so much about Domain Leon Barral wines, and about Barral. He’s quite an advocate for the environment and biodynamic farming.